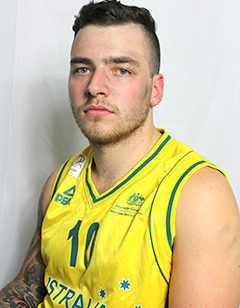 Regarded as one of the premier young talents coming through the Australian Rollers program, Pople announced himself to the world in 2013, leading the Australian Spinners to bronze at the IWBF Under 23 World Championships. This led to senior honours with the Rollers, earning a call-up to the team for the IWBF Asia-Oceania Zone Championships, where he helped the team qualify for the World Championships in South Korea. There, Pople was a member of the Australian team as they went back-to-back at the World Champs while he has also earned success in the NWBL with the Wollongong Roller Hawks. Becoming a key member of the Rollers, Pople again represented the green and gold in 2017, helping Australia qualify for the 2018 World Championships before making the team to compete at that tournament in Hamburg, Germany.